U.K. Phone-Hacking Trial: Brooks Cleared, Coulson Found Guilty : The Two-Way Former media executive Rebekah Brooks has been cleared of all misconduct in a headline-grabbing trial revolving around tycoon Rupert Murdoch's British media empire. Rebekah Brooks, former News International chief executive, leaves the Central Criminal Court in London on Tuesday, after being acquitted. Former News of the World editor Andy Coulson was convicted of phone hacking Tuesday. 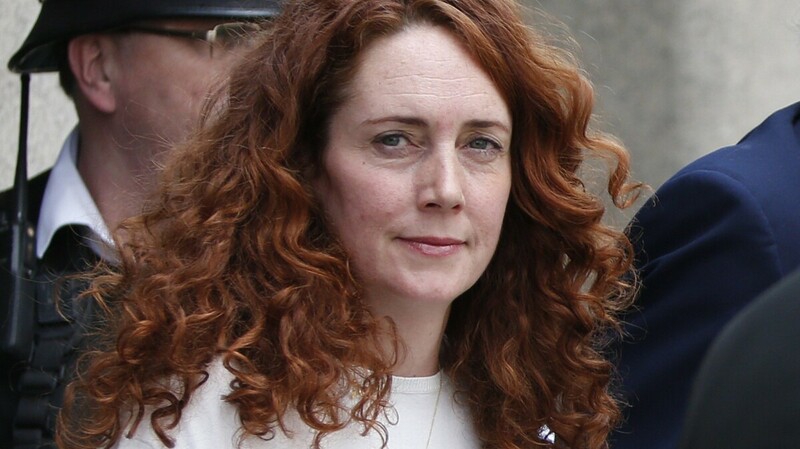 Former News International leader Rebekah Brooks has been cleared of all misconduct in a headline-grabbing trial revolving around tycoon Rupert Murdoch's British media empire. Andy Coulson, the former editor of News of the World, was found guilty of conspiracy to hack personal voicemails. The scandal erupted in the fall of 2010. Months later, Coulson was forced to resign his post as Prime Minister David Cameron's communications director, with the explanation that the allegations against him were a distraction. The media executives' trial lasted eight months, as police accused employees of the now-closed tabloid News of the World of hacking hundreds of people's phones hoping to dig up salacious stories. "Brooks faced four charges that could have put her behind bars for many years. She convinced the jury that she had no knowledge that phones were hacked while she was editor of the News of the World — or after, when she was News International chief executive. "On hearing the verdicts, an emotional Brooks was taken from the court. Her husband and secretary were also acquitted of related charges." As Reuters reports, police alleged there were "more than 1,000 victims of hacking, including Queen Elizabeth's grandsons, Princes William and Harry, and William's wife Kate, and possibly as many as 5,500."